Art is one of the most amazing expressions of humanity. Even today, in our technical and industrialised world we continue to admire the creativity and wonder that can be found in art pieces. One of the most well-known painters in the world, which has inspired many other artists (not only painters) is Vincent Van Gogh. As a magnificent tribute to this artist, Visconti Pens has designed a whole collection of pens which are inspired in some of the most famous canvases of the Impressionist Master. 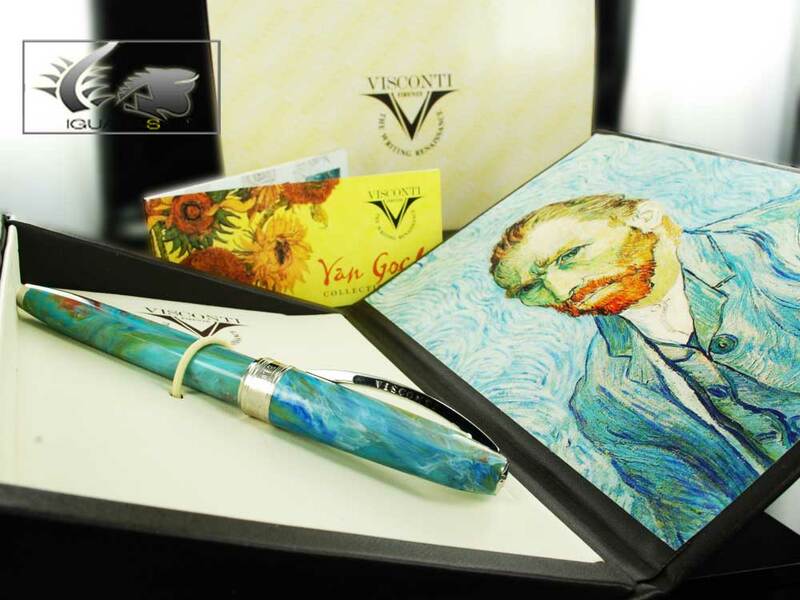 The Visconti Van Gogh Portait Blu Pen is a fine writing instrument with a truly breathtaking design: an extraordinary achievement of Visconti’s design team. The colours that finish this fantastic pen are chosen based on the canvas that gives name to this model. Throughout his life Van Gogh painted many self-portraits, but this one stands out for its bright colors and grim sensation. 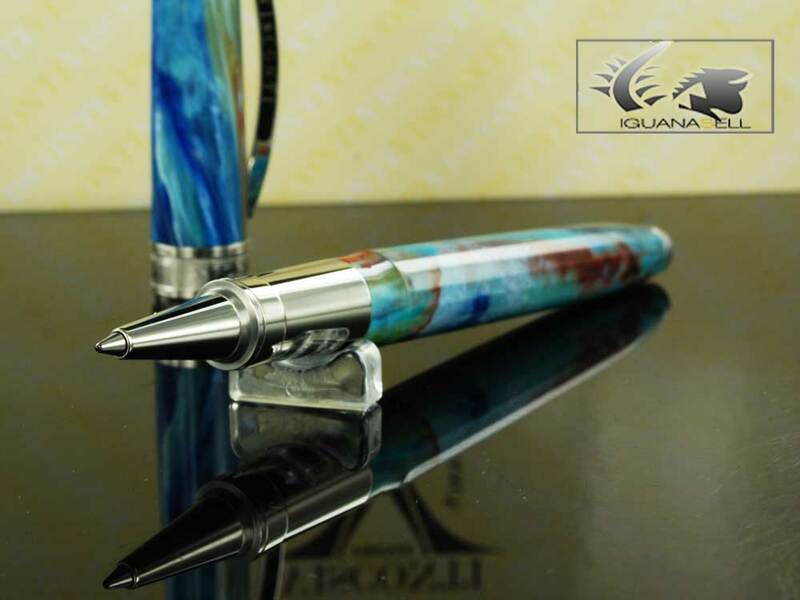 The writing instruments for this model (fountain pen, ballpoint pen, rollerball pen and eco-roller) are uniquely made, each with its own combination and swirls of colored resin. These pens capture the initial mixture of images, ideas and sensations that take place in the artist’s mind when approaching a new creation. At the same time, the pens reflect the soul of this beautiful work of art by recreating the combinations of pure color that characterized impressionist painting, and bringing Van Gogh’s “Portrait Blu” to your desktop. These pens are finished in fine resin with palladium trims. The clip has Visconti’s traditional curved shape and the central ring carries the both the name of the artist and the canvas. The fountain pen is enhanced with a finely engraved steel nib. which is available in M, F and B. The cap on both the fountain pen and the rollerball pen close with Visconti’s famous magnetice closing system, which gives it a comfortable and safe closure. 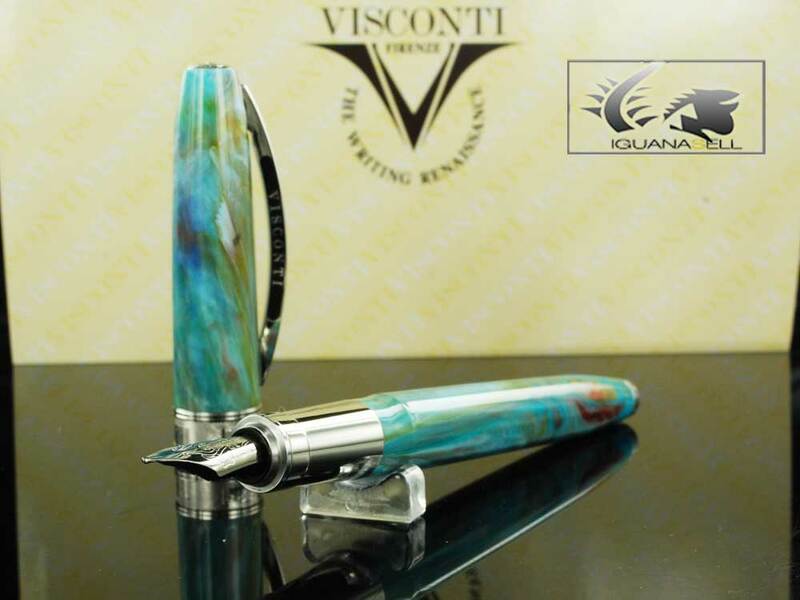 This wonderful writing instrument is available at Iguana Sell for an excellent price, together with other Visconti Van Gogh Pens. Continue reading for more information!